There are both lethal and non-lethal ways to get rid of carpenter bees. On the one hand, you don’t want to get rid of them altogether, because they are excellent pollinators. They bring life and fruit to your garden. Who doesn’t like seeing bees around the garden, collecting pollen from the flowers? But, on the other hand, they are destructive, and you don’t want to be fixing damage caused by carpenter bees. You either need to provide alternative housing for them, or kill them 💀. What’s the best way to get rid of carpenter bees? 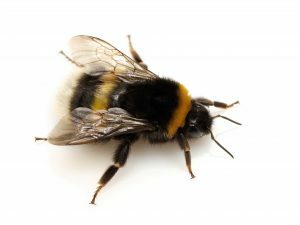 I’m sure most would prefer to use natural methods to remove carpenter bees wherever possible. But unfortunately, sometimes lethal methods are required. I’m sure you’ve heard of those who have tried everything to get rid of them, but nothing works other than killing with sprays or traps! It is unfortunate, because, as we’ve already said, they play an important part in the garden eco-system. We highly recommend trying natural bee control methods (listed next), prior to the harsher eradication methods listed further below. 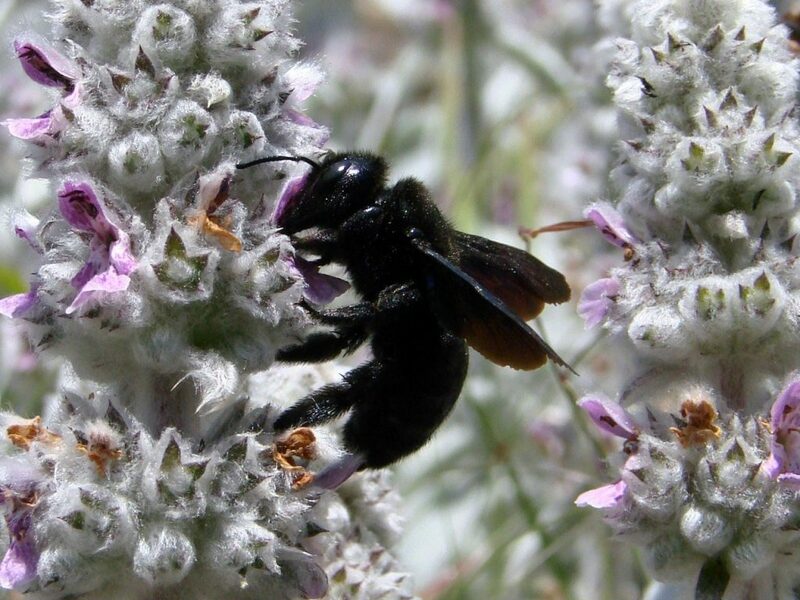 Here are some methods to get rid of carpenter bees without killing them. Ideally, you want to protect your house before the bees come looking for a home. This requires painting the siding of your house, and not allowing the paint to flake off. The bees will avoid chewing through paint wherever possible. 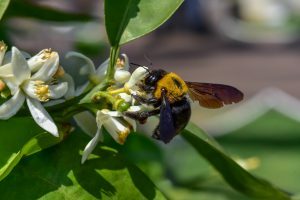 Make a citrus spray and spray in and around bee holes. Bees (and many other animals) have an aversion for citrus and will move on if assaulted in this manner. Unless you drown the bee, it will not be harmed by this process. Have easier alternatives for the bee. Buy or make a bee lodge – a pre-drilled slab of wood, especially for carpenter bees. If the holes are already there, they will save their teeth and choose that. Buy or build a carpenter bee trap. You can make this trap lethal or non-lethal. As a non-lethal trap, once you have caught 2 or 3 bees in the trap you could let them go away from your house. When all else fails, you may have to kill the bees to get rid of them. The best way to do this is to wait until the bee has entered the hole, at which time it can then be exterminated with the use of a quick-acting bug spray. Sprays with long applicator nozzles, and an expanding foam feature are best. Depending on the time of the year, these will also kill the bee larvae or eggs. 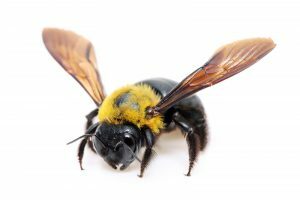 Another lethal method to get rid of carpenter bees? Shoot them, as in the following clip. Don’t try that at home! try out an alternative/controversial method as shown in this last video! Though that method isn’t going to be suitable to 99% of applications. It might be alright for a shed, but unless you’ve got an oil rig aesthetic going on at your place, it’s not going to be great for the wrap around veranda. Thanks for reading, drop a comment down below… we’d love to hear about your experiences.